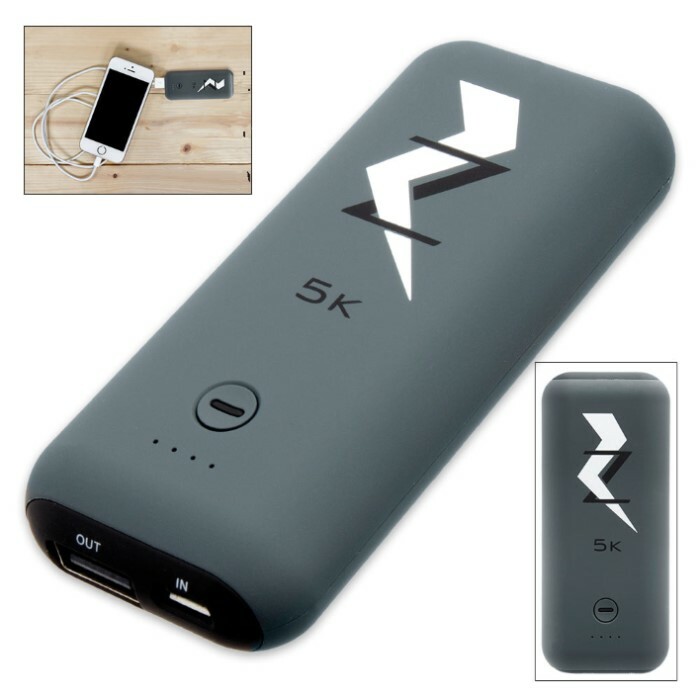 5000 MAH Power Bank | BUDK.com - Knives & Swords At The Lowest Prices! 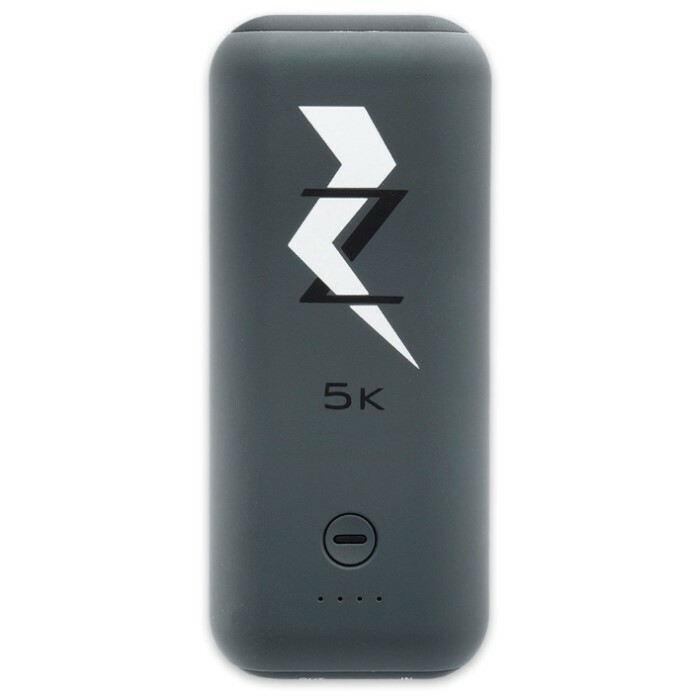 Our 5,000 mAh Power Bank will make sure that you never run out of juice for all of your electronic devices! You can use the power bank to charge game controls, headphones, tablets and cameras, too. 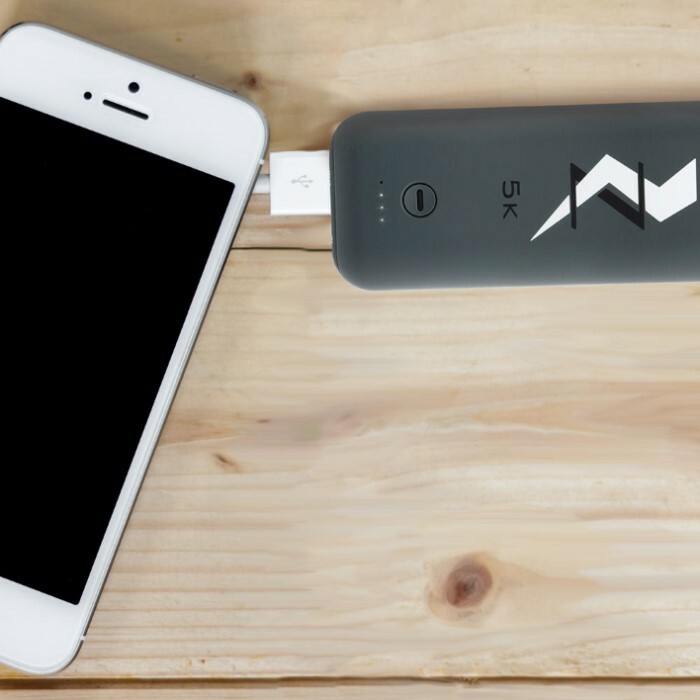 It will charge phones two times; and a tablet one time with its 5,000 mAh capacity. It features a Li-Ion Polymer battery that has high transfer efficiency and low self-discharge. The protection programming will guard against overcharging or discharging and circuit problems. It has a micro-USB input and USB output.